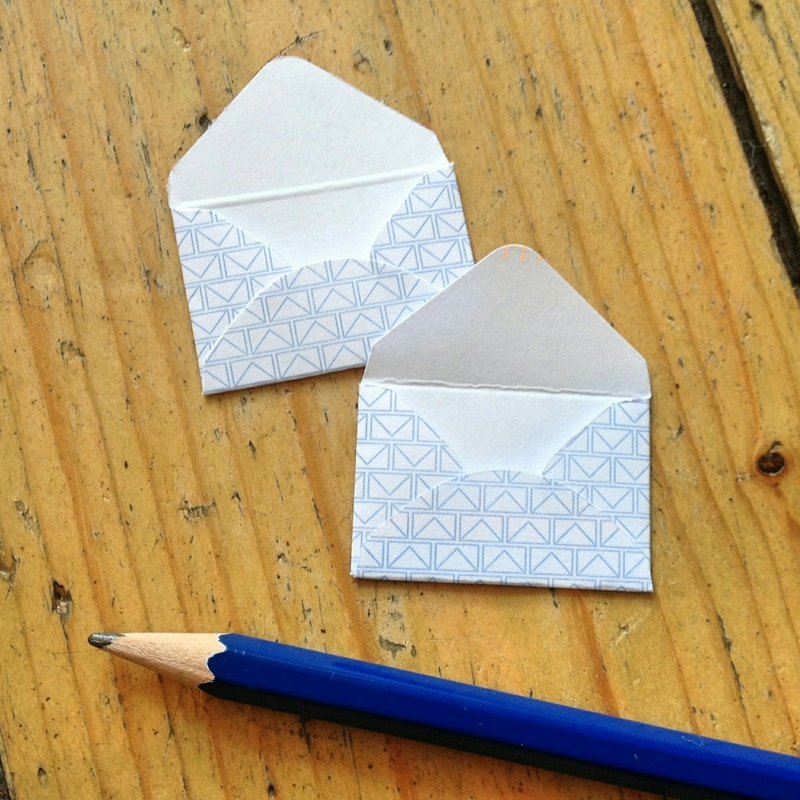 I made some tiny envelopes. They are made from old envelopes turned inside out. These ones have a design of really teeny tiny envelopes. They make me happy!